What's all the fuss about Cow and Moon? Now ranked the world's best gelato, Sydney's Cow and the Moon trumped ice-cream artisans from all over the world to take out the Gelato World Tour title in Rimini, Italy. 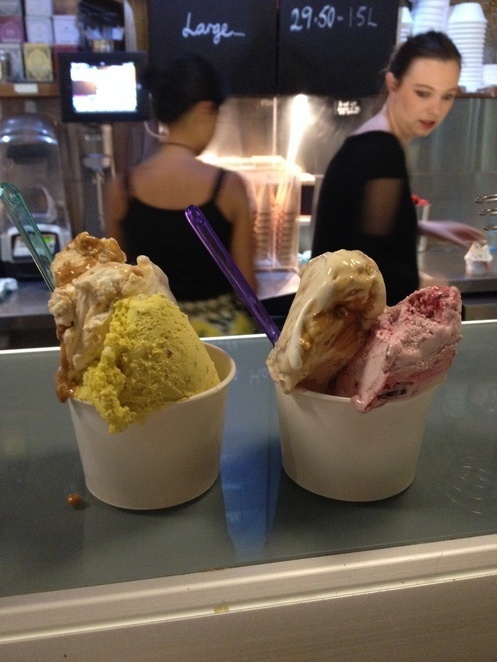 Keen to see what makes the best gelato, I wasn't the only one with the same thought. 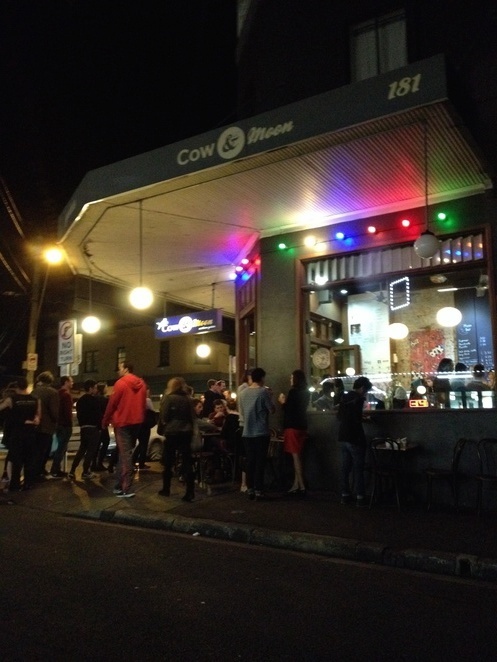 The queue for Cow and the Moon gelato shop stretched around the corner and down the street on a school night at 9pm. Luckily the queue moved quite quickly so "I don't queue" Pepe wasn't too cranky with me. I only understood what the fuss was about when I tried their Mandorla Affogato, a delicious creamy gelato combining caramelised almonds sourced from Italy with single origin coffee on a Madagascan vanilla base. It's award winning stuff. 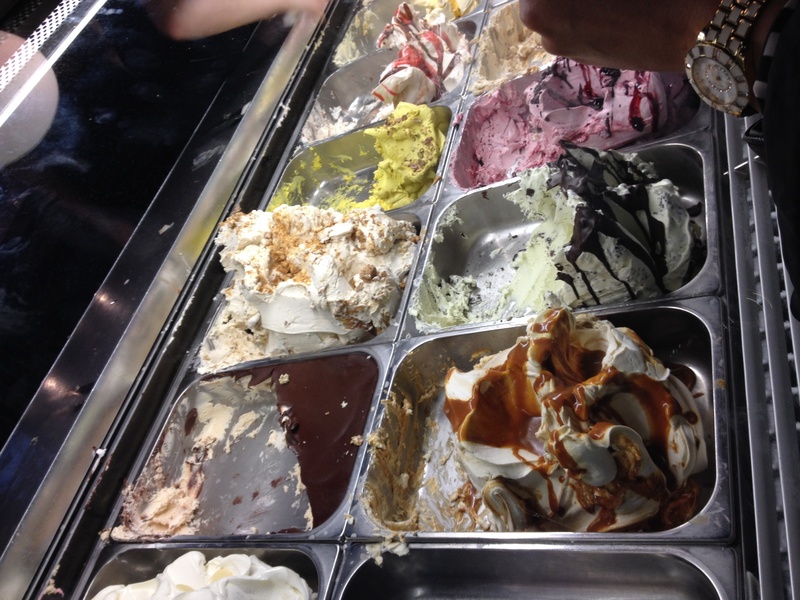 I was a little apprehensive as I have already tried the best ice-cream in the world at Caffè Sicilia in Noto, Sicily and I didn't think anything could match up to that experience. Cow and Moon have on a offer a gelato and sorbet rainbow piled high with flavours such as Turkish delight, coconut in lime, turmeric pistachio and cardamom, strawberry and balsamic, salted caramel and passion fruit cream. There are over 20 flavours to try. Even though it was a tad chilly, it didn't take away from the amazing experience and there's even the option of takeaway tubs. However the award winning Mandorla Affogato is limited and therefore unavailable for takeaway. That'll just mean another trip to Cow and Moon will be required in the future perhaps after Mary's burger.